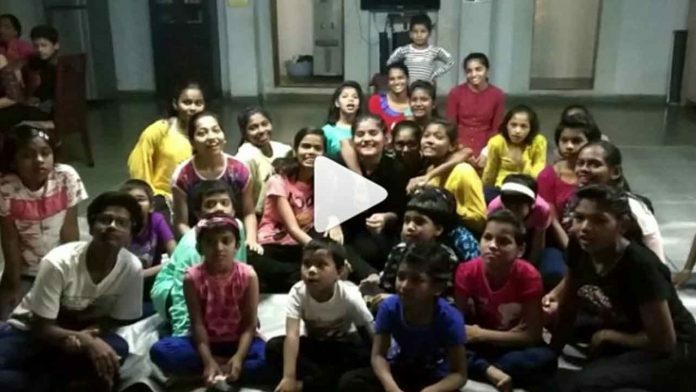 Sara Ali Khan recently took to her Instagram to share a video where kids are seen showering love on the actress. The video showcases kids who are in complete aww of the actress and are seen praising Sara Ali Khan with immense anticipation. Overwhlemed Sara shared the video captioning, “Thank you for so so so much love ❤😍😇😀🎈🎊 and you’re most most welcome 🙏🙏❤❤ #happynewyear #1stday #blessed #grateful.”. One of the most promising debuts Bollywood, Sara Ali Khan has taken the world by storm with her powerful impact with her two releases. Bollywood. Portraying the role of a rooted, pahadi girl against the backdrop of the Uttarakhand floods in Kedarnath, her next will witness Sara Ali Khan in a completely different avatar. Now, Sara Ali Khan’s second film of the year Simmba is released and she’s receiving all the love from audiences and critics as well. After Kedarnath, there is tremendous excitement and response around the second release of Sara Ali Khan.